Healthcare communications agency Havas Lynx has bolstered its medical team with the appointment of three medical doctors. Dr Jack Kreindler (pictured right) will oversee campaign development at the agency, working closely with Havas Lynx's creative team to deliver scientific insight-driven results. 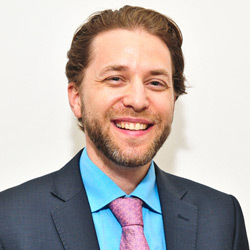 He brings healthcare marketing expertise from the Centre for Health and Performance (CHHP) in London, which he founded in 2007 and subsequently serves as medical director. Prior to this, he founded Weird and Wonderful, a life sciences and creative arts initiative, and remote patient intelligence service Sentrian. Also joining Havas Lynx's medical team, Dr Ben Harman-Jones and Dr Yasmin Ghani will specialise in providing medical expertise across the agency's key accounts. Dr Harman-Jones brings experience working in medicine at Torbay and South Devon NHS Foundation Trust, while Dr Ghani joins from Sydney where she served as a medical officer at NSW Health. David Hunt, Havas Lynx's chief executive, said: “We're privileged to have such an illustrious team of medical professionals join us. “Dr Kreindler's unrivalled medical wisdom and experience, coupled with two talented young doctors who represent the next generation in healthcare - is a powerful asset.